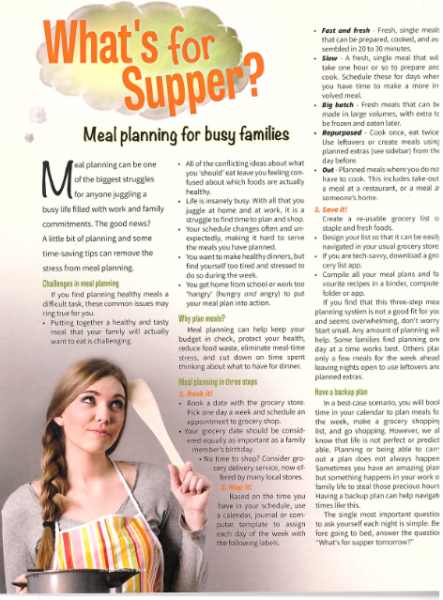 Meal planning is one of the biggest challenges for anyone juggling a busy life filled with work and family commitments. The good news? 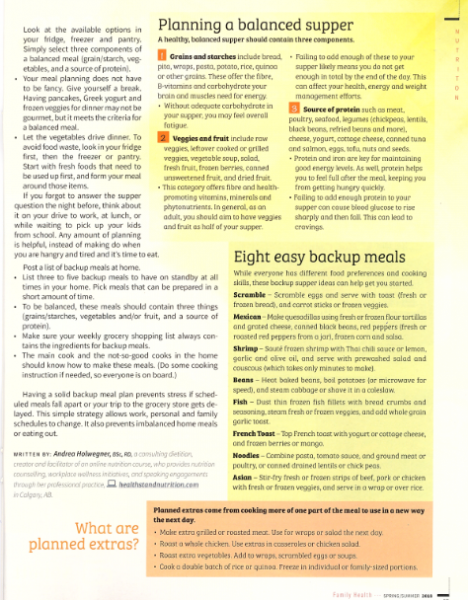 A little bit of planning and some time-saving tips take the stress out of meal planning. You get home from school or work too hangry (grumpy *and* hungry) to put your meal plan into action. 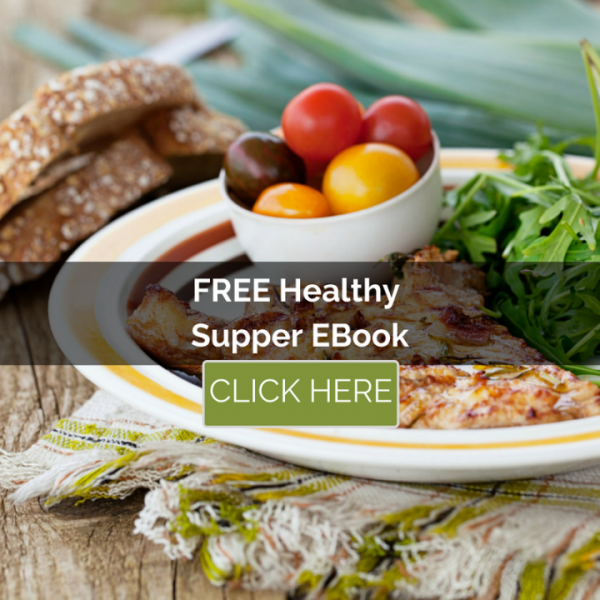 Fast and fresh – Fresh, single meals that can be prepared, cooked, and assembled in 20 to 30 minutes. Slow – A fresh, single meal that will take one hour or so to prepare and cook. Schedule these for days when you have time to make a more involved meal. Big batch – Fresh meals that can be made in large volumes, with extra to be frozen and eaten later. Repurposed – Cook once, eat twice. Use leftovers or create meals using planned extras (see sidebar) from the day before. 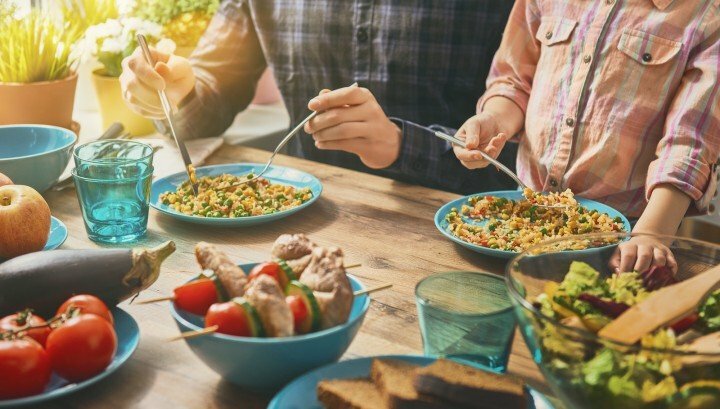 Out – Planned meals where you do not have to cook. This includes take-out, a meal at a restaurant, or a meal at someone’s home. 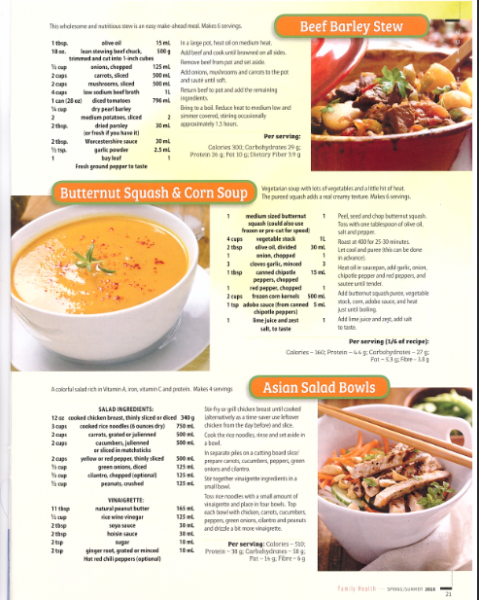 If you find that this three-step meal planning system is not a good fit for you and seems overwhelming, do not worry! Start small. Any amount of planning will help. Some families find planning one day at a time works best. Others plan only a few meals for the week ahead, leaving nights open to use leftovers and planned extras. Make extra grilled or roasted meat. Use for wraps or salad the next day. 1. Grains and starches include bread, pita, wraps, pasta, potato, rice, quinoa or other grains. These offer the fibre, B-vitamins and carbohydrate your brain and muscles need for energy. 2. Veggies and fruit include raw veggies, leftover cooked or grilled veggies, vegetable soup, salad, fresh fruit, frozen berries, canned unsweetened fruit, and dried fruit. 3. Source of protein such as meat, poultry, seafood, legumes (chickpeas, lentils, black beans, refried beans and more), cheese, yogurt, cottage cheese, canned tuna and salmon, eggs, tofu, nuts and seeds. Noodles – Combine pasta, tomato sauce, and ground meat or poultry (or canned drained lentils or chick peas). Andrea Holwegner, BSc, RD, a consulting dietitian, creator and facilitator of an online nutrition course, who provides nutrition counselling, workplace wellness initiatives, and speaking engagements through her professional practice, www.healthstandnutrition.com in Calgary, AB.